Weighed down by a struggling economy, government agencies in California shed 37,300 workers last month — more jobs than were lost in the private sector — as cities and counties made their biggest payroll cutbacks since at least 1990. What’s more, analysts see more job cuts ahead as California faces an estimated $10-billion shortfall in the state budget that the next governor must address. Cities and counties, meanwhile, are still struggling with tepid sales and property tax revenue. Cities across the state have taken stringent measures to balance their budgets, said Eva Spiegel, a spokeswoman with the League of California Cities. Oakland laid off 80 police officers and delayed pothole repairs. Fullerton laid off 14 police officers and three firefighters, cut library hours and closed restrooms at several parks. Oceanside laid off 28 police officers and three firefighters, closed a swimming pool and a recreation center and eliminated the city Bookmobile. Overall, the state’s unemployment rate remained stuck at 12.4%, one of the highest in the nation. The state lost a net 63,600 jobs in September. Local governments shed 32,400 jobs, according to the monthly report from the state Employment Development Department released Friday. Taxable sales plummeted 18.5% in California from 2006 to 2009 and are expected to remain relatively flat this year, according to the National University System Institute for Policy Research in La Jolla. The National League of Cities reported this month that cities across the country were making their sharpest cuts in at least a quarter of a century. Nearly 80% of city finance officers in a survey reported laying off staff, and 87% said their cities were worse off financially this year than last year. Those last two paragraphs are the key to understanding one of the things I have been saying, that there is no recovery in sales. Every month, when retail sales numbers come out, I question them. Here is my article from October 15: Retail Sales Rise More Than Forecast; Once Again I Ask "Really?" California recently closed its budget, but in January the state will need to begin working on its next one. According to the LA Times, a $19 billion hole is already projected, and here’s the problem: The easy budget cuts and the easy tax hikes are already in the books. The are other problems, too. The new governor, whoever that is, will be reluctant to waste political capital (Schwarzenegger had the benefit of being a lame duck) and fresh legislators will once again have to learn how the whole process works (California has term limits, meaning nobody ever sticks around long enough to know how it works). 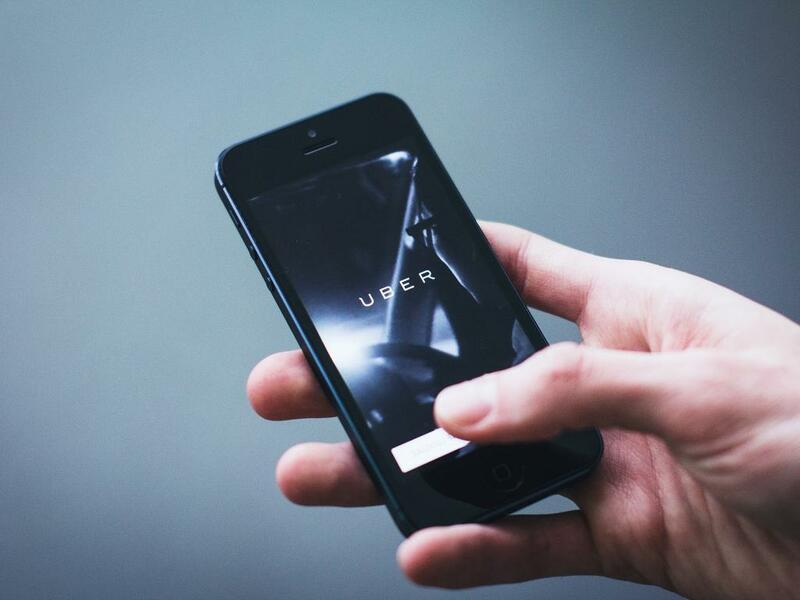 In a survey of 1,000 Californians conducted in June by the Pew Center on the States and the Public Policy Institute of California, half of respondents believed state spending could be cut 20% or more with no impact on services. The report points out that the state would have to eliminate the equivalent of its entire prison system, all welfare programs and all transportation spending to save that much. 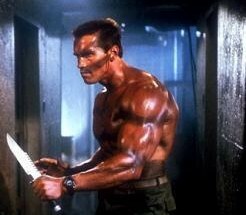 The authors went to Mike Genest, Schwarzenegger’s former budget director, for some perspective. "Reality hasn’t caught up with the voting public," Genest told them. "Politicians have made it sound like there are other alternatives, like we can simply get rid of fraud, waste and abuse and [have] a spending freeze and … have the same kind of government we’ve always had. … That’s just not true." Anyway, assuming a big GOP sweep in November in DC, there won’t be much help coming from the Feds. Barring another tax-revenue-creating bubble, this should be quite a horror show. While California legislators are busy patting themselves on the back for breaking the gridlock that set world records for the longest a state has gone without an official budget (the word "budget" in government accounting terms being a joke in and of itself), it is important to point out that their "solutions" are really just costly magic tricks that manipulate the accounting to create an illusion of a fix. Case in point, the good old "sale leaseback" trick. The budget deficit would also be closed partly by selling an array of state properties and buildings, many of which the state will subsequently lease back . The sales are projected to generate more than $1 billion, the sources said. 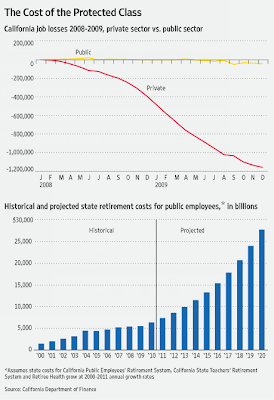 Some of the deficit would be wiped out on paper but could quickly rematerialize. Legislators have said they will fill $1.4 billion of the budget gap by replacing the administration’s revenue projections with those of the state’s nonpartisan Legislative Analyst’s Office, which are more optimistic. Billions more of the deficit would be handled with expectations of financial help from Washington, but the state has no control over whether those funds will arrive. More than $3 billion more would be borrowed from other state funds. So glad to see accounting fraud has been completely legitimized. The Nelson Rockefeller Institute reports State Tax Revenues Are Slowly Rebounding. However, as always, the devil is in the details. Let’s take a look. 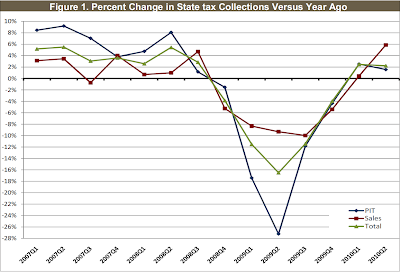 Preliminary tax collection data for the April-June quarter of 2010 show improvement in overall state tax collections as well as for personal income tax and sales tax revenue. 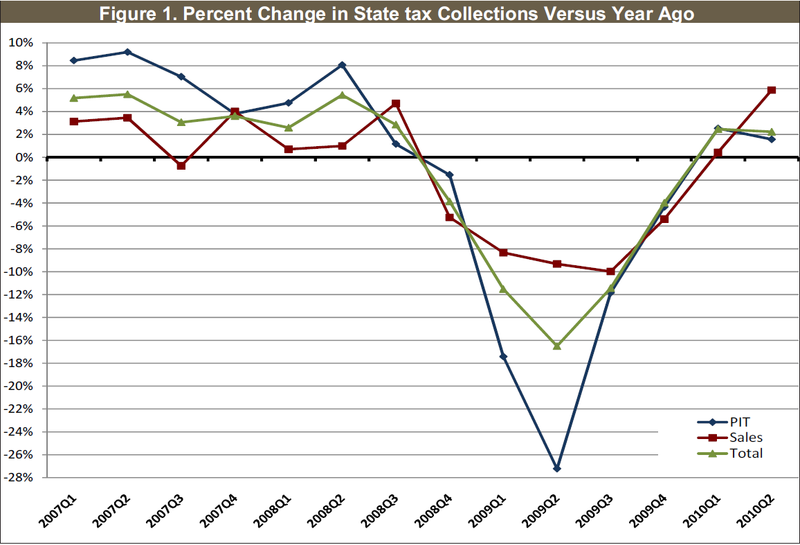 However, revenue collections remain significantly below peak levels and are still weak in a number of states. The Rockefeller Institute’s compilation of data from 47 early reporting states shows collections from major tax sources increased by 2.2 percent in nominal terms compared to the second quarter of 2009, but was 17.2 percent below the same period two years ago. Gains were widespread, with 30 states showing an increase in revenues compared to a year earlier. After adjusting for inflation, tax revenues increased by 1.4 percent in the second quarter of 2010 compared to the same quarter of 2009. 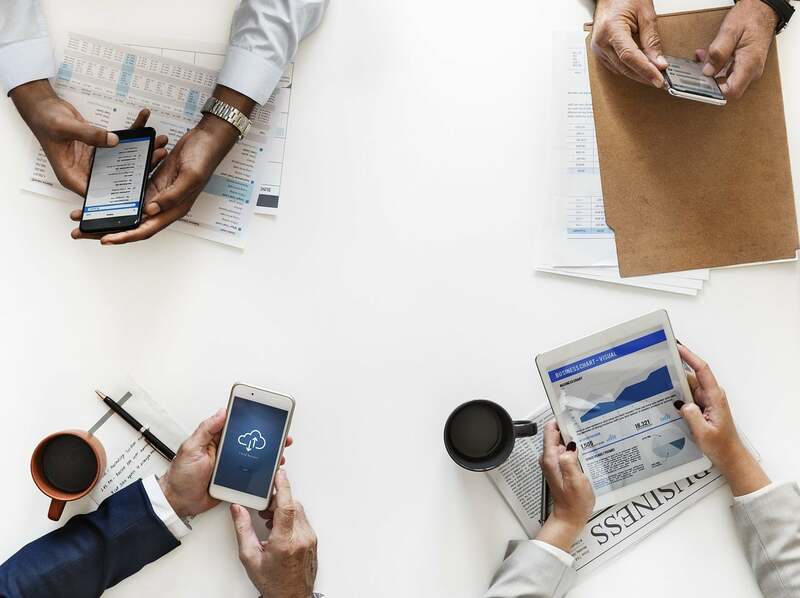 In terms of dollars, California reported the largest increase in personal income tax collections in the second quarter of 2010, where revenue collections rose by $1.6 billion or 11.5 percent. Such increase is mostly attributable to legislated changes. Without California, personal income tax collections for the second quarter of 2010 show a 1.1 percent decline nationally in the April-June quarter, compared to the same period of 2009. Sales tax collections increased by 5.9 percent in the second quarter of 2010 compared to the same quarter of 2009, but were still 5.4 percent lower than two years ago. 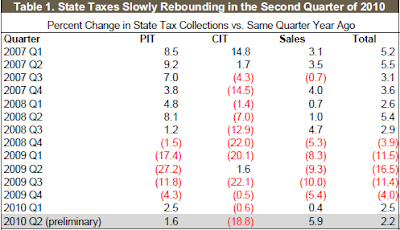 With 42 of 45 sales-tax states reporting so far, only seven states reported declines in sales tax collections compared with the same quarter last year. 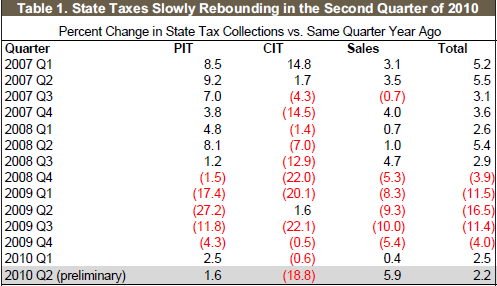 Among the corporate income tax states, 19 of 43 early reporting states reported declines for the second quarter compared to the same quarter of the previous year, while 24 showed gains. Fourteen states reported double-digit declines, while seventeen states reported double-digit growth in corporate income tax collections in the second quarter of 2010. The large variation among states’ corporate income tax revenues is due to volatility in corporate profits and in the timing of tax payments. Governor Schwarzenegger has once again furloughed workers, declaring California is in a fiscal emergency. Excuse me for asking but when has California ever not been in a state of fiscal emergency? California Governor Arnold Schwarzenegger ordered more than 150,000 state workers to take three days of mandatory unpaid time off to conserve cash. The executive order, effective Aug. 1, stipulates that the furloughs will end when a budget for the fiscal year that began July 1 is enacted, the governor’s press secretary, Aaron McLear, said in an e-mail. It comes after government workers endured furloughs over almost 12 months that ended June 30. California began its fiscal year without a spending plan after Schwarzenegger and Democrats remained deadlocked over how to fill a $19.1 billion deficit. Controller John Chiang has warned he may again need to issue IOUs to pay bills if the impasse continues into September. 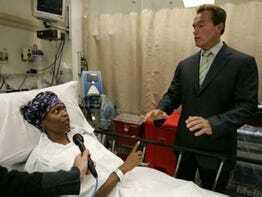 California Governor Arnold Schwarzenegger declared a state of emergency over the state’s finances yesterday, raising pressure on lawmakers to negotiate a state budget that is more than a month overdue and will need to close a $US19 billion ($A21.3 billion) shortfall. The deficit is 22 per cent of the $US85 billion general fund budget the governor signed last July for the fiscal year that ended in June, highlighting how the steep drop in California’s revenue due to recession, the housing slump, financial market turmoil and high unemployment have slashed its all-important personal income tax collection. In the declaration, Schwarzenegger ordered three days off without pay per month beginning in August for tens of thousands of state employees to preserve the state’s cash to pay its debt, and for essential services. California’s budget is five weeks overdue, joining New York among big states with spending plans yet to be approved, and Schwarzenegger and top lawmakers are at an impasse over how to balance the state’s books. "Failure to find consensus on an honestly-balanced budget is not an option. 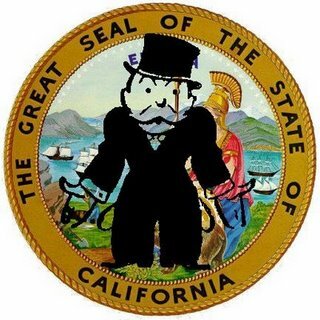 Every passing day of political paralysis leads us closer to a completely avoidable fiscal meltdown that will plunge the State’s credit ratings into junk status, slow the State’s economic recovery and force us to again issue IOUs to innocent Californians." The Controller said that without a budget in place, his latest cash projections show the State’s cash will go into the red by the end of October. To ensure the State meets payment obligations protected by the California Constitution and federal law, the Controller could be forced to begin issuing IOUs in August or September to conserve cash to get us through the fall. With a budget in place, K-12 schools could have avoided a $2.5 billion payment deferral scheduled for October. Without a budget, the Controller may be forced to accelerate that payment delay to September, depriving schools of needed funds as students return to classrooms. Further delays in enacting a budget will wreak havoc on the State’s already-shaky credit ratings. Standard & Poor this spring noted that California’s economy is stabilizing, but, "In our view, a significant risk to the state’s fiscal situation – and credit – is that if the state fails to reach a budget agreement in a timely manner, a severe shortage of financial liquidity could result with significant implications to state operations….Given that the absence of a budget agreement precludes the state from tapping the capital markets for a cash flow borrowing, we believe that in a protracted budget negotiation stalemate, the state’s relative credit quality could weaken." hahahahahaha LOL, you hear that, California? Our relative credit quality could weaken. Quick, hit the deck, they’re going to cut our credit cards! With all due respect to Mr Chiang as we all know he has one of the worst jobs in the state (at least that guy selling oranges at the 280 Ocean Ave off-ramp has product to sell), he did get the memo that we’re already considered a credit risk, right? As in worst credit rating in the entire United States, tyvm. You need not wonder why. Quite possibly this has something to do with the fact that Arnie just had a very vivid Total Recall from the future in which California had filed Chapter 66 (a brand new invention in honor of the famous route), mere months after he had decided to institute the latest round of furloughs and once again paying using IOUs. Increasing pressure on lawmakers to negotiate a state budget that closes a $19 billion shortfall, California Governor Arnold Schwarzenegger declared a state of emergency over the state’s finances on Wednesday. 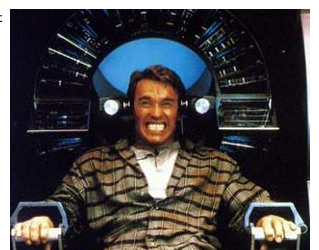 In the declaration, Schwarzenegger ordered three furlough days per month beginning in August for thousands of state employees to preserve the state’s cash to pay the state’s debt obligations and for essential services. California’s budget is several weeks overdue and Schwarzenegger and top lawmakers are at impasse over how to balance the state’s books. Analysts say it could be several more weeks before the Republican governor and leaders of the Democrat-led legislature reach an agreement, a delay that may threaten to lower the state’s already weak credit rating, now hovering just a few notches above "junk" status. 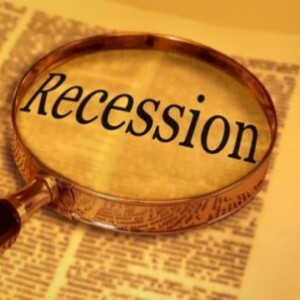 If you watch any mainstream news program these days, it is almost a certainty that someone will mention the word "recession" before a half hour passes. In fact, it seems like almost everyone is either predicting that we are going into a recession, or they are warning of the need to avoid a recession or they are proclaiming that we are still in a recession. So will the U.S. economy once again be in recession in 2010? When you consider all the signs that are pointing that way, the evidence is compelling. The truth is that there is bad economic news wherever you turn. There is bad news in the housing industry. There is bad news in the financial markets. There is bad news in the banking system. There is bad news coming out of Europe. There are even signs that the bubble in China may be about to burst. Plus, the economic impact of the Gulf of Mexico oil spill could end up being the straw (or the gigantic concrete slab) that really breaks the camel’s back. So there are certainly a lot of pieces of news that "gloom and doom" economists can hang their hats on these days. There is a very dark mood in world financial markets right now, and it seems like almost everyone is waiting for the other shoe to drop. But does all of this really mean that we are looking at the start of another recession before the end of 2010? The truth is that nobody really knows. Things certainly look very ominous out there. The dark clouds are gathering and the economic winds are starting to blow in a bad direction. The following are 24 pieces of evidence that do seem to indicate that very difficult economic times are imminent….